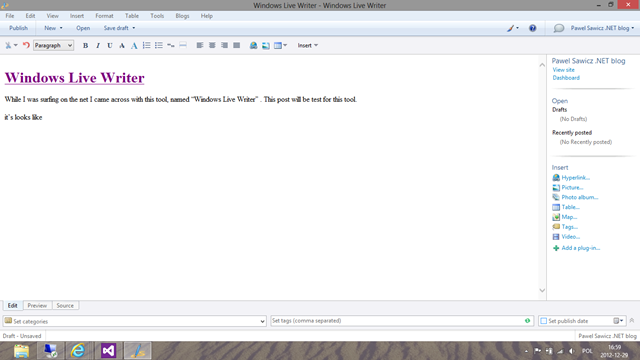 When I was surfing on the net I came across to this tool, named “Windows Live Writer” . You can link it with wordpress and just use this as a editor for your posts. It seems to be quite good, tool also have large gallery of plug-ins . Few test to shows what we can do by this.